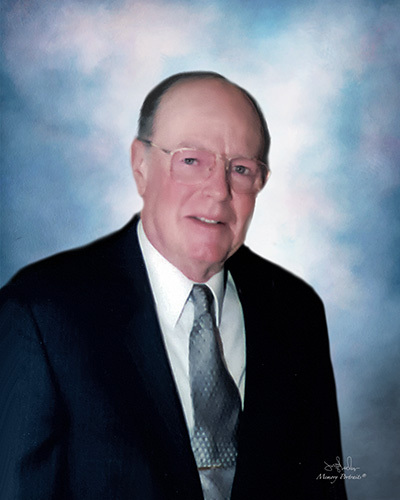 Edward W. “Ed” Stewart, 89, of Manchester, previously of Glastonbury, husband of nearly 68 years to Patricia (Marks) Stewart, passed away Saturday, April 6, 2019, with his family by his side. He was born on March 26, 1930, in Brooklyn, New York to the late George and Beatrice (Ruland) Stewart. Ed grew up in Brooklyn and was a graduate of Adelphi Academy, Class of 1948. There, he met his wife and then later married her in 1951. After high school, Ed attended Moravian College in Bethlehem, Pennsylvania where he took his prerequisite veterinary courses. He attended the Cornell University College of Veterinary Medicine in Ithaca, New York and graduated in 1954. Ed, Patricia, and their infant son then moved to Manchester where he worked for Doctors Bushnell and Olmsted for the next three years. In 1957, the family moved to Glastonbury, where he opened his own practice, establishing the Glastonbury Veterinary Hospital. He retired from his practice in 1993 but his love for animals was so great that he couldn’t stay away from what he loved to do and went back to work, part-time, with Beckett and Associates Veterinary Services in Glastonbury. One of Ed’s top achievements was serving as President of the Connecticut Veterinary Medical Association. He was also a member of the Glastonbury Redevelopment Commission for several years. Ed always wanted to fly, so he earned his private pilot's license. He was an accomplished pianist and also enjoyed spending time gardening outdoors. Ed loved helping people in need and was a supporter of Christian Children’s Fund International and Save the Children for more than 50 years. Ed was a kind, warm, loving and caring individual who had a great sense of humor but most of all, he was a dedicated husband, father and grampy to his entire family. In addition to his wife Pat, Ed is survived by his three children; Scott Stewart and his wife Teresa, Rachel Spector and her husband Dr. William Spector and Ralph Stewart; his five grandchildren Adam, Cynthia, Jennica, Daniel and Geoffrey and his two great-grandchildren William and Grayson. Ed was predeceased by his parents and two sisters Dorothy and Hazel. A time of visitation for family and friends will be held on Thursday, April 11, 2019 from 4-6 p.m. at Holmes-Watkins Funeral Home, 400 Main Street, Manchester. A Celebration of Life service will be held on Friday, April 12, 2019 at 1 p.m. at the funeral home. A private burial for family members will follow in Green Cemetery, Glastonbury. In lieu of flowers, memorial contributions may be made to the Connecticut Humane Society, 701 Russell Rd., Newington, CT., 06111. To leave an online message of condolence for his family, please visit www.holmeswatkins.com.